BISMARCK, N.D. (AP) — Planning commissioners have denied a permit for a controversial wind farm near Bismarck. More than 500 citizens attended a four-hour meeting Wednesday when the Burleigh County Planning and Zoning Commission heard passionate testimony from both sides. 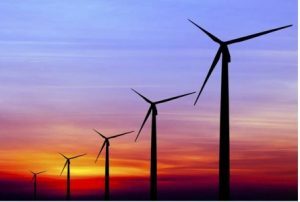 Chicago-based Pure New Energy USA wants to construct about 70 turbines in southern Burleigh County. The 250-megawatt Burleigh-Emmons Wind Farm, which would be located about 15 miles southeast of Bismarck. The Bismarck Tribune says opponents raised questions about the turbines’ impact on wildlife, health and property values. Supporters of the project emphasized the new jobs it would create and other economic benefits to the community.